If we’ve installed an Autowatch Car Alarm and your car is stolen within 36 months of purchase due to failure of the product, we'll pay the first $1500 of your insurance excess. We will also provide you with a rental vehicle for 30 days OR until your vehicle is recovered – whichever comes first. If the first purchaser’s vehicle is stolen within 36 months of purchase due to failure of the product then Autowatch warrants that it will reimburse the first purchaser’s insurance excess to an amount not exceeding $1,500.00 plus the cost of a rental car of a type first approved by Autowatch from the date the vehicle is stolen until it is recovered but not exceeding 30 days. Any bond and all petrol costs are the vehicle owners responsibility, SUBJECT to the first owner having promptly filed a stolen vehicle report with the police and producing to Autowatch all systems keys issued for the product, vehicle keys and the pin override card. This warranty shall ensure for the benefit only the original purchaser. The warranty does not apply to any part of the Product which has been subject to misuse, negligence, accident, improper maintenance or improper protection in storage or has been installed or altered in a manner which in the sole judgement of Autowatch, affects its performance or reliability. 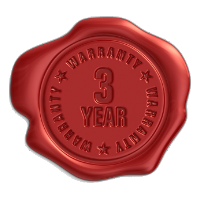 All terms and warranties implied by law or Stature are expressly excluded from the Warranty insofar as the same may be lawfully so excluded. * Excludes all Paralyser products and the 279RL Car Alarm and 500RLi Motorbike Alarm Immobiliser.